There are times where I feel like Star Wars has become my white whale. At some point in my life I marveled at its magnificence, but now I’ve become embittered by its existence which continues to perpetually drive me to fits of frustration. I roll up to my keyboard to write another article and hammer each key like another rusty harpoon being thrust in an effort to pierce its impregnable hide. I’ve spent the last 72 hours discussing Star Wars: The Last Jedi with other critics, film fans and friends. Most of whom share my opinion that The Last Jedi was disappointing. However, there are those who thought the film was a lot of fun and were clearly not as perplexed by director Rian Johnson’s choices. I worked my way through a laundry list of complaints and criticisms. While doing this I stumbled across what I think is the most fundamentally flawed creative choice in this new trilogy. Maybe they shouldn’t have brought back Han, Luke and Leia into this new trilogy. There will be those who think this thought is ludicrous. It’s Star Wars. These are beloved characters who are finally getting a chance to revisit a galaxy far, far away. There are millions of fans packed into theaters simply because they get to see Han Solo, Luke Skywalker and Princess Leia again. Why on earth would I want to deprive them of this imperial march back to the well? Let me try and explain. The original Star Wars trilogy tells a very simple story. We get Luke becoming a hero, embracing his destiny and becoming a Jedi. Han goes from a rogue to a guy who believes there are things worth fighting for. Leia transitions from a girl in need of saving to a woman ready to fight and die to save the Republic she believes in. 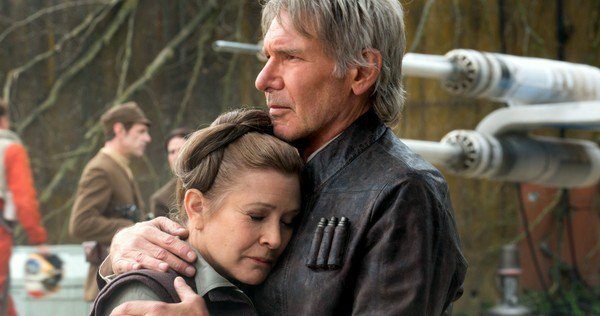 You also get the nice little love story between Han and Leia. Anakin Skywalker finds redemption. When Return of the Jedi ends, the story feels complete. Every character exhibited growth. Even Lando got to become a hero in the end. We left our heroes in a state of celebration as the Empire had been defeated and the darkest days were behind them. Then The Force Awakens showed up and robbed our childhood heroes of their happy ending. But let’s put aside childish rants about fictional characters and their deserved happy endings. No one ever said that life was fair. 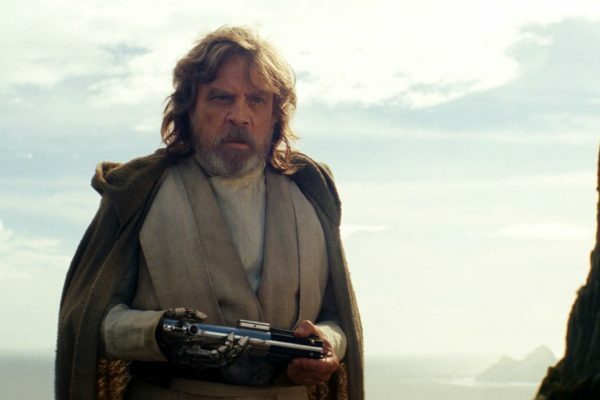 The problem with bringing back Luke, Han and Leia isn’t about how terribly their lives ended but how much of the interesting part of the story we missed given where The Force Awakens picked up. Based on Episodes VII and VIII, we know that Han and Leia got married, had a son and Luke went to train a new generation of Jedi Knights. During this period of time Snoke become ‘Supreme Leader’, forms the First Order, decides to build yet another version of the Death Star and corrupts Han and Leia’s son turning him to the dark side of the force. Then, Luke makes a mistake that leads to Ben becoming Kylo Ren, who in turn slaughters everyone in the academy except for a few other students who join him on his dark crusade. And other than a teeny-tiny flashback we never get to see any of this. Star Wars has basically skipped over the second most dramatic part of Luke, Leia and Han’s life. They’ve skipped the second act with these beloved characters and deposited them into the aftermath of the choices and moments that created this new trilogy. Creatively speaking, it’s kind of bogus. I understand what little choice they had in this decision. Mark Hamill, Harrison Ford and Carrie Fisher were too old. They had to skip ahead in order to make a story that was appropriate for the actors’ ages. But in doing so they breezed past the most interesting story to make something creatively flaccid. In an effort to work these classic characters into the new trilogy, they have not only robbed them of a happy ending, but of the most interesting part of their story. I’m not an advocate of needing every single thing explained. That’s how we end up with pieces of garbage like Rogue One. We don’t need every piece of backstory to appreciate a good story. There were all sorts of things in the original trilogy we knew nothing about. The Clone Wars, The Jedi Council, The Empire’s takeover of the galaxy… None of those things directly impacted the main characters being featured in these stories. They were elements of mystery and lore used as a part of world-building. You could say the same thing about Episodse VII and VIII. That Snoke turning Kylo to the dark side via exposition is no different than the relationship between Vader and the Emperor which wasn’t ever explored until the prequels. And that’s true. 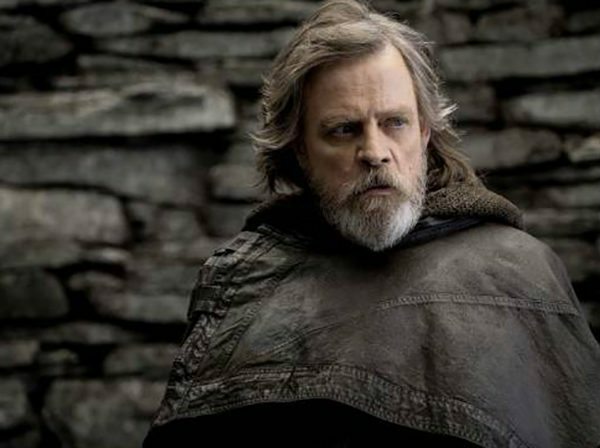 But The Last Jedi uses Luke in a different way by making the backstory essential to Luke’s character development. Rian Johnson tries to wedge acts of betrayal and redemption into the same film making the off-camera nature of so much of the drama ring false. By the end of the film when we see Luke and Kylo squaring off on a battlefield, there’s no tension there. We’ve never seen these two characters occupying the same space except for the briefest of moments. By the time Luke and Vader face off in front of the Emperor in Jedi, they have had multiple interactions. From Luke watching Vader slay Obi-Wan, to their duel in Empire with that shocking revelation… the stage had been set for their final showdown in Return of the Jedi. And yes, I understand that Rey and Kylo’s relationship is mirroring the Luke/Vader dynamic of the original. 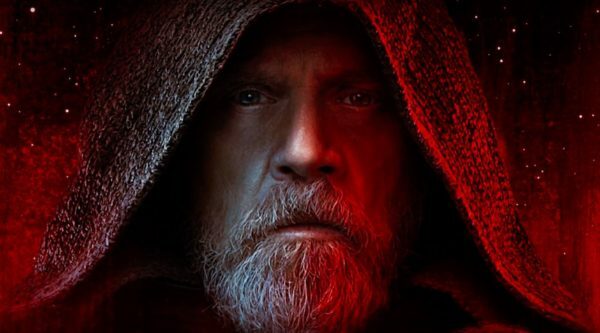 However, by shoving Luke into The Last Jedi and trying to give his character an entire arc ranging from downfall to redemption, you rob that character of any and all dramatic potential. Luke Skywalker was creatively molested by Rian Johnson in this movie. At least J.J. Abrams gave Han Solo a few moments of old-school action and adventure before piercing his heart with a lightsaber. And god only knows what’s going to happen to Princess Leia a.k.a. “Carrie Poppins”, who was denied a really good dramatic opportunity for a character exit by not piloting the kamikaze cruiser into Snoke’s ship. I don’t have all the answers. Hell, I might not have any. But I do know that this new trilogy feels like it’s damaging the legacy of Luke, Han and Leia in service of Finn, Rey, and Poe. 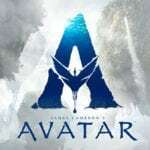 Maybe they could have used the characters with a lighter touch and not made them such pivotal fixtures in these new movies and rushed through (or completely abandoned) telling parts of their story. I was looking forward to new Star Wars movies back when they were first announced. Because I wanted to revisit this Universe and get new stories. 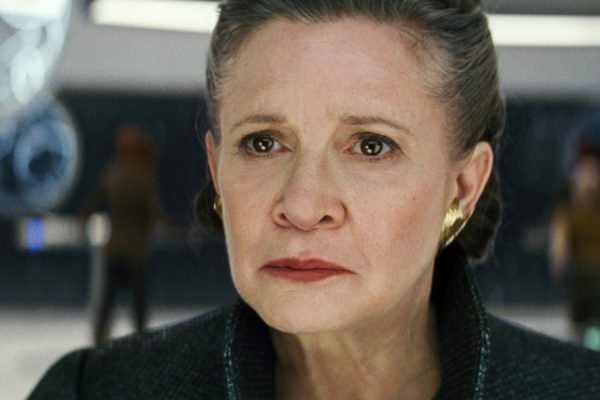 The Force Awakens was anything but a new story and The Last Jedi poorly handled the classic characters by a) giving Leia nothing to do and b) giving Luke too much. Maybe bringing them back was a mistake. Creatively, of course. Financially it was a brilliant decision and I look forward to all the Disney execs bathing naked in piles of gold doubloons like Scrooge McDuck on an eight-day coke bender. Full disclosure, I loved it. But just one minor point, about Carrie Fisher. Yeah, it’d have been great to have her go out in a blaze of glory, but supposedly, she was going to be a big part of Ep. IX. If they had known she wouldn’t make it, I’m sure they would’ve written the story differently, but I’m glad they didn’t go back and try to doctor it. That moment with her and Luke was something I would not have wanted to miss. Though I disagree with you I was willing to keep an open mind until I read this nonsense. “That’s how we get pieces of garbage like Rogue One” That is when I stopped reading whatever garbage you were writing here. I don’t think bringing back Han, Luke and Leia was a mistake. They had to bring them back in order to kill them. There’s nothing more creatively satisfying than killing off iconic characters that millions love. If some fans didn’t like this then maybe they were too attached to fictional characters that were designed to entertain and nothing more. I was thoroughly entertained by Episodes VII & VIII and looking forward to Episode IX.